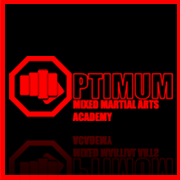 Optimum MMA is Louth’s premier Mixed Martial arts academy offering classes for all ages, in all styles of Martial arts. Whether you are looking to take up a traditional martial art, get fit or take up a career in fighting, then we have classes for you. Our aim is to help people become the best martial artist they can be while having fun and getting fit. If you/or your family would like to come along and enjoy a FREE trial lesson then please contact us. Our Taekwondo program is our most traditional Martial art on offer at Optimum MMA. However to say it is traditional is a little inaccurate as it has been adapted and updated over many years. Optimum MMAs approach of “practical martial arts” makes this a challenging system to learn for both Adults and Children. Working on dynamic kicking and punching techniques along with Stretching & fitness, coupled with more “old school” Katas/Patterns & basic blocks, students learn to build confidence in their abilities and themselves. Our style of Kickboxing is a blend of boxing/American kickboxing & Muay Thai, commonly known as K1 Kickboxing. We learn to use all our limbs in an offensive & defensive manner. Though Kickboxing is predeominantly a contact sport martial art, we train students from all walks of life and have adopted a light contact ethic which allows students to train efficiently & safely. Kickboxing is a fast paced martial art where students will learn to move, defend and strike in both a sports situation and also “real life” situations. Our program has developed over many years but fitness has remained very central in all our martial arts programs but more so in kickboxing, so it provides a great way to lose weight & improve your health. Our little dragons class is a filter program to help children learn martial arts and understand the benefits it offers to life, while having fun and learning our core values. Our aim is to nurture children and teach them martial arts kicks, blocks and punches while also encouraging them to be focussed, respectful and learn to be disciplined. Little Dragons are motivated to earn their belts and progress through the system and work towards a place within our Taekwondo program.